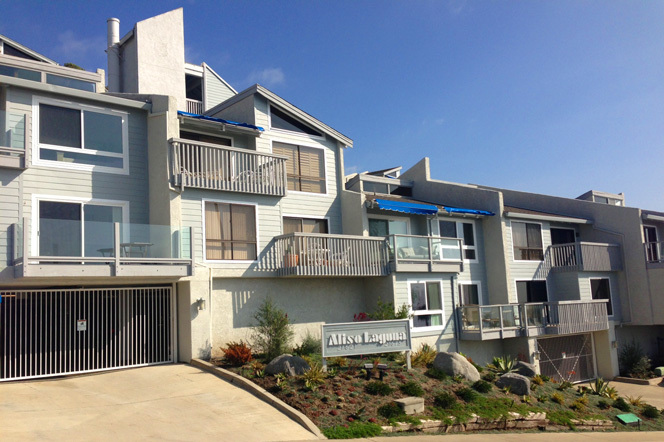 Aliso Laguna community in Laguna Beach is located just east of Aliso Creek Beach in Laguna Beach, California. 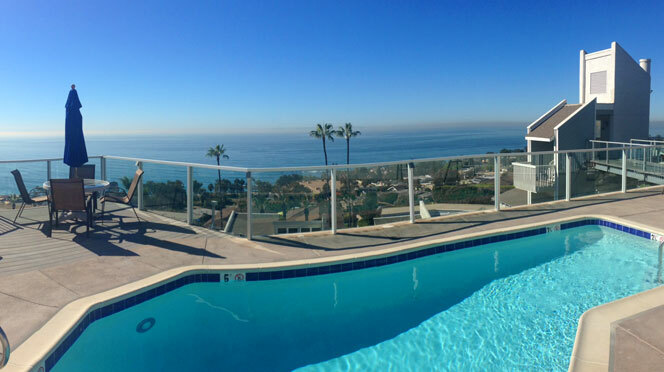 Aliso Laguna condos will have great ocean views and still be in within close proximity to the beach. Condos rarely come on the market here and usually sell quickly if priced correctly. The community features a nice community pool on the roof top level with great views of the ocean. There is a homeowners association in this complex with monthly dues of $654 a month. 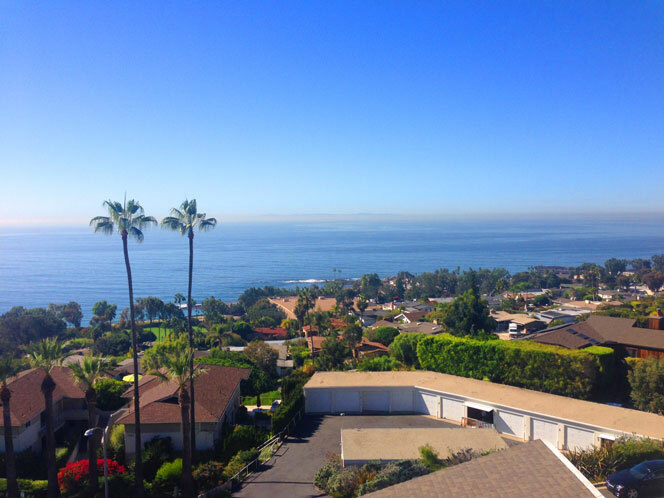 If you have been thinking about buying an ocean view condo in Laguna Beach located close to the beach then the Aliso Laguna community are worth a visit. 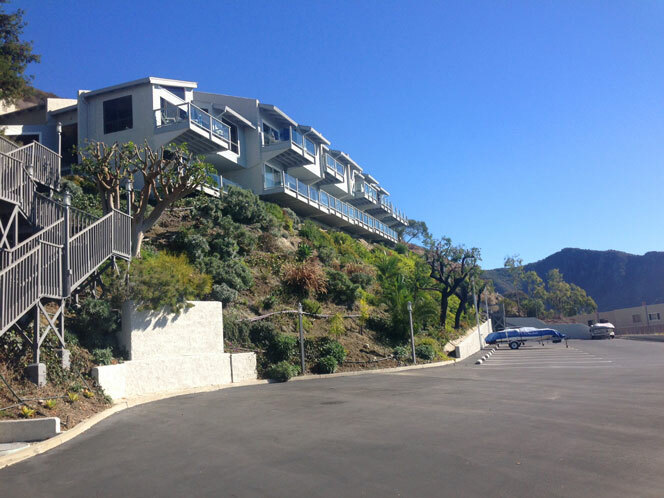 For more information about Laguna Beach condos for sale please contact us today at 949-355-1622. We specialize in Laguna Beach Real Estate. The Aliso Laguna community has several buildings where condos can be found. The main building has an elevator that connects to the top level where the community pool and ocean view condos can be found. The photo below shows the association pool that overlooks the ocean and is connected from the lower level units by the elevator shaft and bridge the connects the two buildings. The views are quite amazing and overlook the Montage Resort and Spa area that is an easy 5 minute walk. The Aliso Creek beach is located just down the street as well as Victoria Beach to the north. There is plenty of parking with additional parking located on the south end of the community as pictured below.